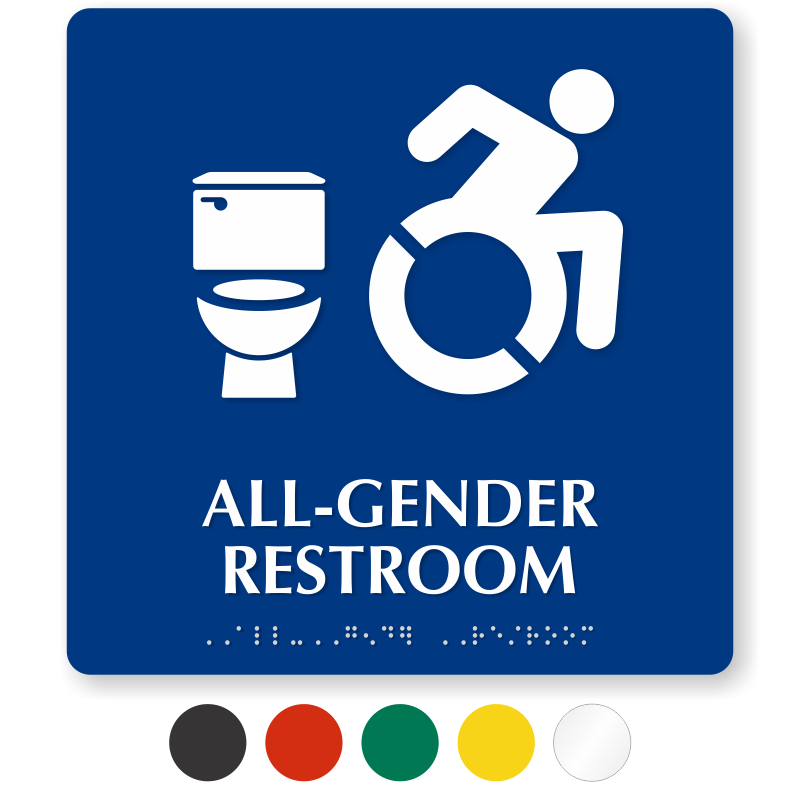 Sintra All-Gender Restroom Sign with Braille, 9in. x 9in. Our handy toilet graphic clearly shows which way to go. It also boasts a new access symbol. • Choose from a variety of colors to match your interior. • Non-glare surface is great for indoor or outdoor use. Abrasion-resistant, and loaded with UV inhibitors. • 1/4" thick, closed-cell polyvinyl chloride (PVC) Sintra plastic. Half the weight of solid PVC and comparable in durability to other heavy plastic materials. • Lightweight and easy to install, these signs don't rust or corrode, and are UV stable even in beachside environments. Sintra provides resistance against chemcials, scratches, abrasions, and dents. • Edges are router cut and ideal for fast tactile reading. Grade 2 California Braille complies with ADA 28 CFR Part 36 regulations. 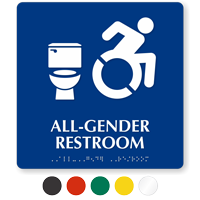 Pictograms and letters are raised by 1/32", complies with California Braille specifications and is acceptable nationwide. • Non-glare surface is easy to clean. Includes adhesive strips, but you can request mounting holes, Hoop and Loop Fastner, or magnetic strips at an additional cost. • Rigid and need to be installed on a flat surface. 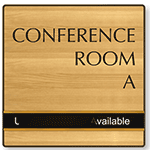 Signs are screen printed using long-lasting baked-on inks coupled with durable appliqué images and text.